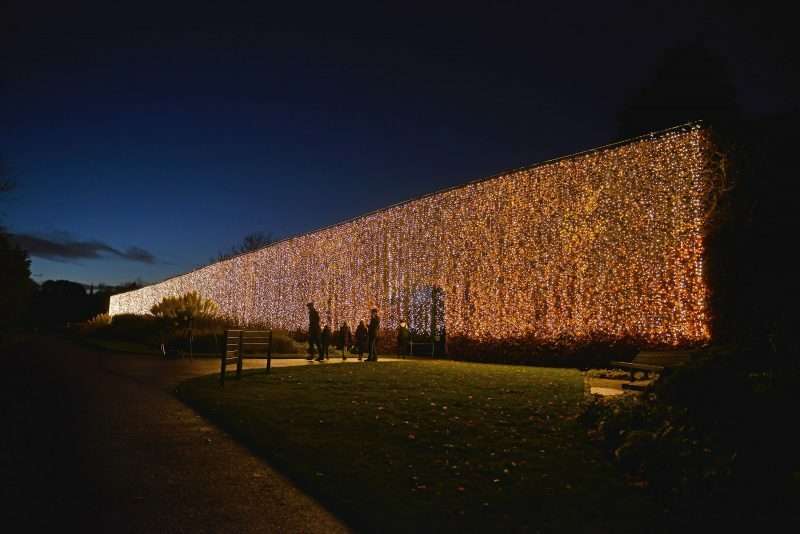 As night falls, joins the Royal Botanic Garden Edinburgh for a magical outdoor trail returning this year with over a million twinkling lights. 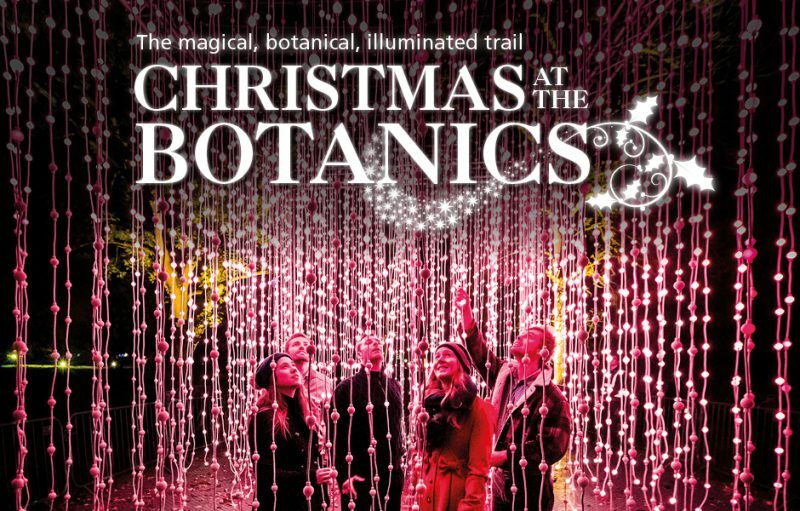 There’s something for everyone at Christmas At The Botanics. Check out our blog piece below packed full of exciting new features this year and a throwback from last year! A quick look back at some of the festivities at Christmas at The Botanics Gardens last year. If you enjoyed last years magical event, you will be AMAZED at what they have to offer for 2018. Take a look below to find out more. Spot the towering Cathedral of Light festooned by over 100,000 pea-lights. The installation, never seen before in Scotland, will run for 70 metres alongside the famous Beech Hedge. Surround yourself with playful ribbons of colour-changing globes and stop at the scented Fire Garden for a moment of tranquil reflection. The hypnotic beauty of a flickering, scented Fire Garden will mesmerise all. This year’s Botanics trail culminates in a spectacular Festive Finale on Inverleith House Lawn where brightly coloured projections dance in time to much-loved Christmas classics. You can complete your festive stroll under the stars with spiced cider, mulled wine or hot chocolate whilst the aroma of roasting chestnuts fills the air. 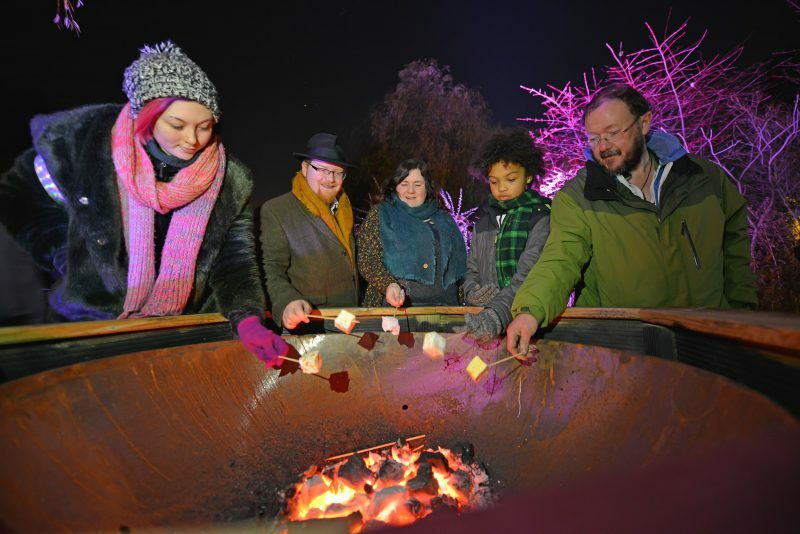 Gather to toast your own marshmallows at one of the fire pits and enjoy other traditional fare before finishing your Christmas shopping in the gift shop at the John Hope Gateway. The Garden’s profits from this event help to support global and national plant research and conservation work. Make your evening extra special with a visit to the Garden’s Gateway Restaurant. Why not treat friends and family to a festive dinner, selected from the restaurant’s exclusive Christmas Dinner Menu.